Kira started running in 2009 to de-stress from law school. Her first marathon was at The Bull Runner (TBR) Dream Marathon. 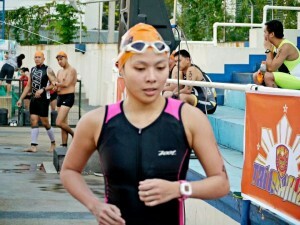 Reading through the different running blogs and keeping abreast with the running community, she was inspired by Noelle de Guzman (Kikayrunner) and Jaymie Pizzaro’s (The Bull Runner) transition from being very strong runners to being strong triathletes. 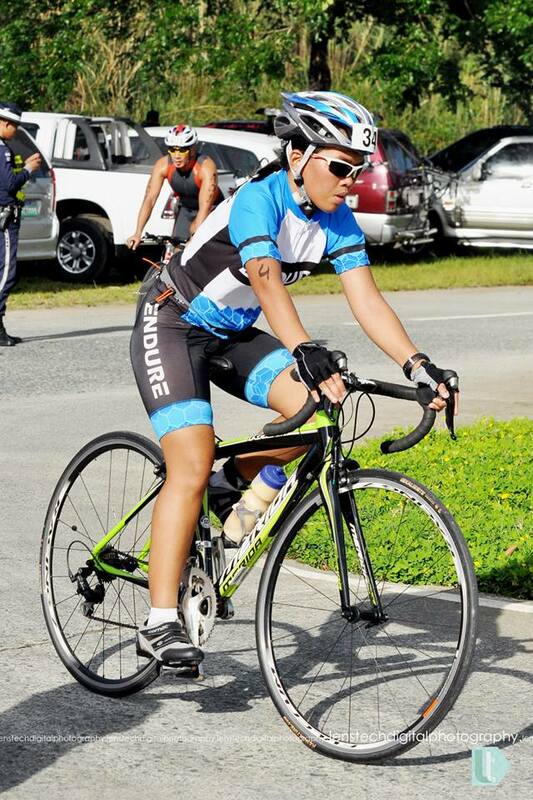 Her ‘porselana’ skin notwithstanding, this lawyer is ready for what triathlon may bring her including getting scarred for life with "tocino" from cycling and getting a tinge of brown on her from swimming. 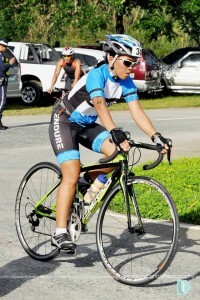 She is taking up the challenge of how to bike with all its technicalities as well as swimming in open water one padyak and one stroke at a time. 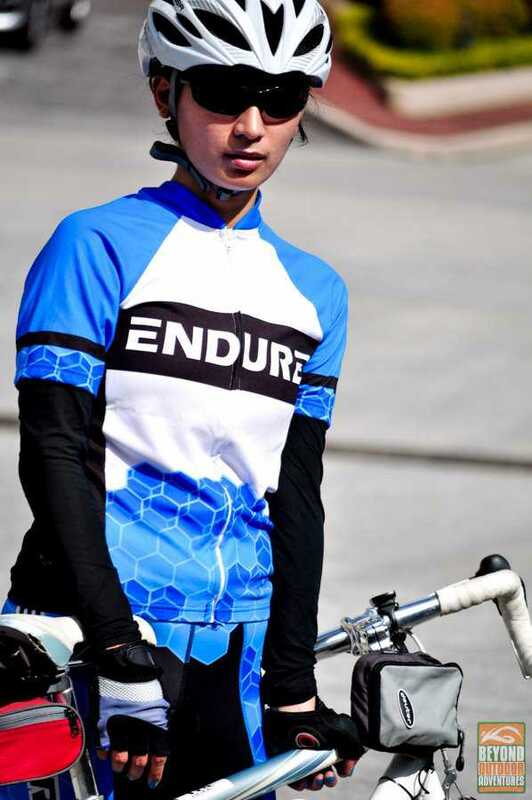 We daresay she’s getting the hang of it, grabbing podium finishes in two of the three multisport events she has joined so far. Background: When you hear the name MARGA ( aka MARGALICIOUS at takbo.ph) there is only one thing that comes to mind…. “SUPPORT”. If we are talking about math then it easily equates as MARGA=SUPPORT. Marga is the ever loving, caring and supportive team mate we have in ENDURE. When things get a spill and everyone seems to be very busy preparing for races, Marga on the other hand is also busy preparing for the support crew to cheer up, feed, hydrate and motivate the competing team members. It is no wonder that she is fondly called MOAS (Mother Of All Support) in the community. Marga from Quezon City on the other hand is an Educator. She had the calling for teaching in 2001 when she taught teens 15-18 years of age undergoing their ‘confirmation’ in the Catholic faith in the United States. She proceeded to work at ISDANCO Foundation, building a beauty school called the Center for Aesthetics Studies where she recently resigned after eight (8) years of being their directress. She does consultancy work for curriculum development in different institutions in metro manila, at the same time trying really really hard to complete her Masters degree in Education in UP Diliman. 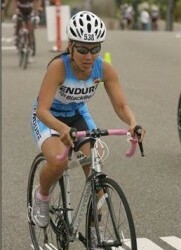 When asked why she got into multisport, she simply said “It’s all about health”. Marga got really sick in 2007, where diabetes and being overweight were two of the major risk factors for that disease. 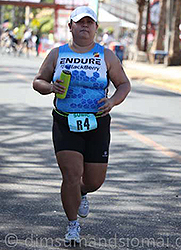 She vowed to conquer these risk factors by going to the gym in 2007 and getting into running in 2008 where she happily joined takbo.ph . Swimming followed suit as friends from the forum used it as cross training for marathons. Other than that, Marga loves to organize activities, read books and drink coffee with friends to catch up on things. She sincerely believes that LOVE is the answer to all worries, ailments, and negative vibes in this world. Marga is one great example of a dedicated person, showing the world that a disease cannot cripple high hopes of recovery. That to ENDURE the pain and hardship follows the GLORY we deserve. Background: You know how you meet a person and you just know they’re a genuinely good person? You see it in the eyes, they say =). And Julie Reyes has beautiful eyes.Dubbed as hotlegs runner, this diva is a member of the Hot Legs Dancers of the 80’s (did I just date you? hahaha) and of course has awesome gams! Her running career is a fun and disciplined one, allowing her to pursue and therefore finish every distance she puts her mind into. And triathlons? Pffft! A piece of cake for our gorgeous diva as she has already completed 2 triathlons this year-and it’s only mid-year.She is also an entrepreneur, a blogger, a teacher, a dog-lover, a mother to a lovely daughter, and a soon to be wife to another over-achiever - this time in the field of theatre and film (you have got to see the video of his proposal. 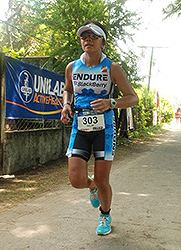 )Though she may be away from the rest of the team here in the Philippines, Julie typifies an Endure-member. She loves life and lives it to the fullest with all that she can do with her God-given talents. I am not exaggerating about her. She really is all these and more. You will be blessed to know her and be continually inspired by the wonderful things she does for her family, friends, teammates, and the marginalized. She and I share the mantra from Phillipians 4:13 “I can do all things through Christ who strengthens me”. Arzen started her active lifestyle by playing badminton. She started running in 2009. From then on she kept challenging herself, from PR to PR, from 5k to 21k until she finished her first marathon in 2011. 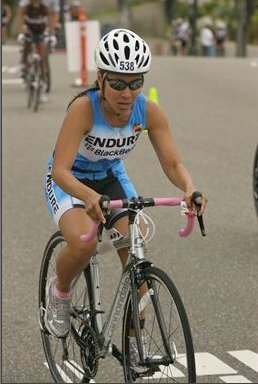 She then proceeded to conquer her first duathlon, paving the way to the world of multisports. In 2012, Arzen and husband Pyds was blessed with a little boy. 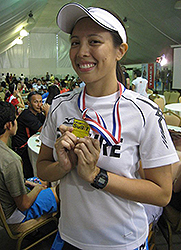 A year later, she went back on trail running and finished 11km on TNF, 12km on Salomon, Globe Cordillera Challenge (60km cross country ride on Cordillera), off-road duathlon at La Mesa and a 21km mountain run at Clark Miyamit. On February 2014, she finished her 2nd marathon at The Bull Runner Dream Marathon, beating her PR with a time of 5hrs 32mins. As of this writing, she signed up for her first ultramarathon (1st trail ultramarathon) at The North Face 50km which will be in Baguio, Benguet. On any given day, she works as QC Analyst from an IT firm in Makati and as a tender loving mother to a little champ. When a race calls her, expect a stronger, fiercer and bolder Arzen ready to chick any guy out. Background: Izah Sueño is one tough girl. She is one mermaid that will be hard for you to out swim. She knows what she is doing in races. With a powerful swimming background, this former green tanker varsity swimmer knows how to flip, tumble, dive and run under extreme pressure. 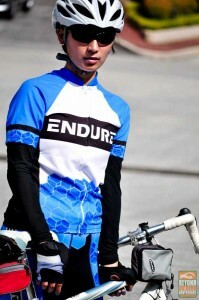 She can do it all.Being a competitive girl, she do her best in every race she joins. She is very passionate about everything she does which makes her a well rounded person. You will learn a lot from hanging out with this energetic girl. She is a spirited girl who just wants to improve everything she does in life.There are so many things that you will learn when you talk to this girl. You will be amazed with all the things she has accomplished. 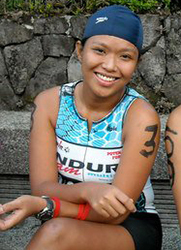 You know that she has a potential to be a world class triathlete because of a good foundation in all three disciplines.